AIBrain AG was established in Berlin, Germany in 2017 to expand into the European market and IFA 2018 was the coming our party for the company. “We had a tremendous turnout at our booth and our products and technology was accepted very well by the folks that visited our booth”, continued Berthold. This entry was posted in blog and tagged A.I. 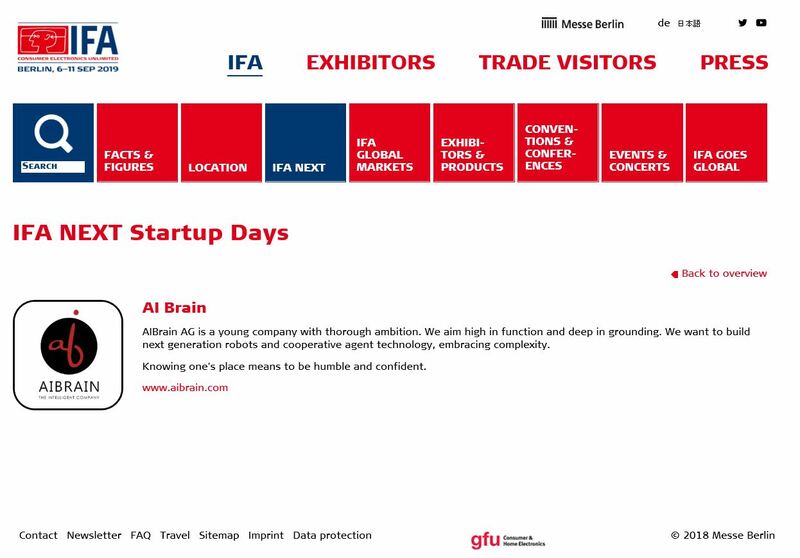 Musi, AIbrain, AIBrain AG, AIBrain KR, Athena, Fiona, Gretchen, IFA NEXT 2018, IFA2018, Tyche, •Futurable. Bookmark the permalink.